Do you have damage in your home or business from a flood? For anyone that does, you need to understand the steps that need to be taken to help you get the flood damage in Orange County cleaned up and your property restored to the way it was before the damage happened. The following are the most important steps to follow to help you get the damage from the flood cleaned up and your property restored as soon as you can. The first step that you need to take is to call your insurance company to let them know about the damage. If you have flood insurance, they will help you pay for the cleanup and restoration. That is going to make it much easier for you and more affordable. Your second step needs to be a phone call to a professional restoration company like SERVPRO of Huntington Beach. They will get the cleanup and restoration done for you in a timely manner. They will also ensure that all the damage is cleaned up, so that no damage is left behind to cause you problems in the future. Plus, it will be more affordable for you to get your property cleaned up and restored with the professionals because they have the equipment and supplies already to get the job done effectively. If you tried to get everything needed to do this big job, it would become expensive very quickly. The sooner you make the call to get the professionals into your home or business, the sooner you will be able to put the flood damage behind you in the past. Before the professionals get to your home or business, it is a good idea for you to remove all the belongings that you can, especially the ones that have not been damaged. This will ensure that they are not damaged during the cleanup and restoration process. It will also help to save time, so the professionals can concentrate on the cleanup and restoration of the damage and the belongings that were damaged. Once the professionals get to your home or business, get out of their way, but until then, do all you can to make their job easier because it will be better for them and you in the long run on time and your budget. Now that you have the steps to follow, you will be able to easily and effectively get the flood damage in Orange County cleaned up and your property restored to the way it was before the damage happened. Just be sure that you utilize all these steps, so you can get back to your life and the important things you need to do without this damage being a problem for you anymore. Why Is SERVPRO of Huntington Beach The Chosen Restoration Company With Everyone? Have you heard a lot about SERVPRO in Huntington Beach and you are curious about why they are the chosen restoration company with people everywhere? There are a few reasons why this company is the professional restoration service that everyone hires when they have gone through a disaster that leaves them with a mess to clean up and a home or business to restore. It is a good idea for you to learn the reasons why people choose this company because this will help you see why it would be smart for you to hire them for your cleaning and restoration needs as well. One: Training -This company has highly trained professionals that do the cleanup and restoration for you. They have been trained to know how to do the cleanup correctly, where to look for damage, so that none is left behind to cause future problems and many other things. This ensures that all the damage will be cleaned up and your home or business is restored to the as close to the original condition as possible, that way you don’t have to worry about anything after they have done their job and you can put the disaster behind you where it should be. Two: Equipment – The equipment and cleaning supplies that will be used to clean up and restore your home is the high quality and will ensure that your home or business is cleaned as well as sanitized. That way you can be confident that your family or employees will be safe in your home or place of business. Three: Experience – The experience that this company has with cleaning up all types of disasters is one of the main reasons why so many people hire them for their restoration services. They have experience with commercial cleaning and restoration as well as residential. Plus, they have 52 years of experience to ensure that your home or business will be thoroughly cleaned and restored before they leave your place. That will give you much needed peace of mind and will help you be confident that the job will be done right from the very beginning all the way to the end. Now that you are aware of the reasons why SERVPRO of Huntington Beach is the chosen restoration company with so many people, you can understand why people hire them and why you should also. If you have dealt with a disaster that needs to be cleaned up and your home or business restored, make the smart decision and hire this company now, so you can get the disaster put behind you in the past where it belongs. When a fire burns inside a structure, it often gets extinguished using water by either you or the fire department. 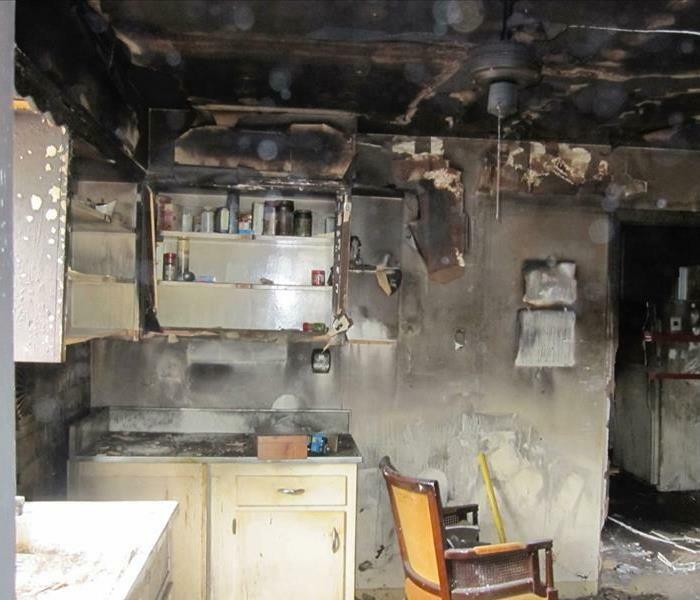 After a burn takes place, it is likely that you will need a fire cleanup conducted by a professional company like SERVPRO of Huntington Beach. When heat and moisture damage items, the combination of the two create different scenarios. Moisture can cause soot residues to bleed deeper into materials making them more difficult to remove. If fire cleanup does not get completed quickly, there is a chance that the excessive moisture can cause mold to develop on organic substances, creating another issue. Moisture added to burn damage can make the problems with your contents and building materials worse. For example, if burnt wooden items get saturated, they might have to be replaced instead of being cleaned and refinished as a part of your fire cleanup project in Huntington Beach. In some cases, if items do not get charred deeper than a quarter inch, then our SERVPRO technicians can sand down and refinish the materials. However, when moisture gets added to these situations, the burnt material can soak deep into an object and make refinishing impossible. A major part of any restoration project is to figure out what we can fix with cleaning and restoring, and which items we must remove and replace. Once the initial estimate gets completed, we devise a plan to restore anything inside your home that got damaged. If you ever have a situation where both fire and water affected your house, call SERVPRO of Huntington Beach at 714-841-1695 24 hours a day. Your water heater is a valuable piece of equipment in your Huntington Beach home. It provides hot water for bathrooms and your kitchen for a variety of uses. However, routine water heater maintenance prevents possible issues. Otherwise, they can leak, rust, and cause a great deal of damage to your home. Many people think flooding is the primary method of loss that a broken water heater can cause, and there are additional problems which can also cost you lots of money in repairs and even affect the health of you and your family. Even a slow leak can cause a good deal of water damage to your Huntington Beach home while raising your utility bill from the wasted water. If your home has been the victim of such an incident, you want to have professionals help you clean it up and repair the damage. At SERVPRO of Huntington Beach, we have expert training and plenty of experience in handling water damage emergencies just like this. SERVPRO of Huntington Beach knows that when your home has a water damage emergency, it is essential not to waste time. Give us a call at (714) 841-1695 as soon as you realize there is a problem so we can help you clean it up and get your home back to the way it was before the water invaded. Our number one goal is returning damaged areas and items to preloss condition, doing all we can to make it "Like it never even happened." 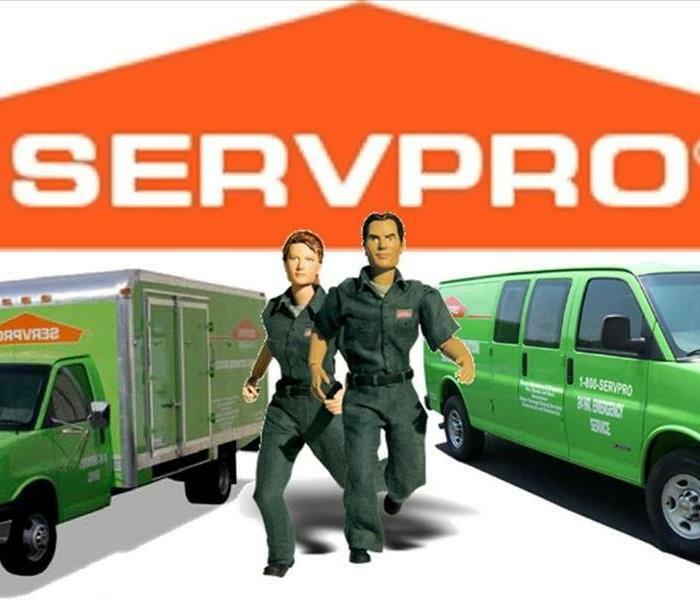 Every SERVPRO Franchise Professional is dedicated to restoring both the property and the lives of the customers being helped. SERVPRO Franchise Professionals have been helping home and business owners recover from water damages across the United States. SERVPRO is a franchise system with over 1700 independently owned and operated locations nationwide. More locations means faster response time. SERVPRO of Huntington Beach can be onsite within four hours to help protect the structure, business and personal property. In our business, you need us fast! the sooner we arrive the better chance we can reduce damage and save money. We are available 24 hours a day, seven days a week, 365 days a year. SERVPRO of Huntington Beach understands that using the proper equipment makes a measurable difference in reducing claims loss expense. When time mattes, technology and equipment must be counted on to perform. Your home is truly a reflection of you, your taste and your personality. Suffering damage to your home can feel like a part of you has been damaged as well. We recognize a loss can make you feel vulnerable, invaded or robbed of part of your life. Your loss is unique-in how it started, the emotions experienced and the extent of damage. When damage affects your home, you want it to be restored to pre-loss condition. You cannot afford to let the marketability of your home be affected. SERVPRO of Huntington Beach is the trusted choice for hundreds of insurance companies nationwide, because they know SERVPRO Franchise Professionals have the experience to do the job right. From a burst pipe in an office building to faulty wiring in an apartment complex, fire and water losses are never planned, but they do occur. SERVPRO of Huntington Beach knows there's no such thing as a small emergency when it threatens the welfare ofteh tenants and the revenue of the property owner. Have you developed a thorough contingency plan? Is the emphasis on the first 24-48 hours to help you get back in your building as quickly as possible? SERVPRO of Huntington Beach can provide you assistance in developing and Emergency Ready Profile. As part of a well throught-out contingency plan, your ERP will contian informaition you need in teh event an emergency situation occurs. We are available 24 hours a day, 365 days a year! SERVPRO of Huntington Beach will work hard to restore the property and its contents to pre-loss condition. Summer is here and it's almost the 4th of July. 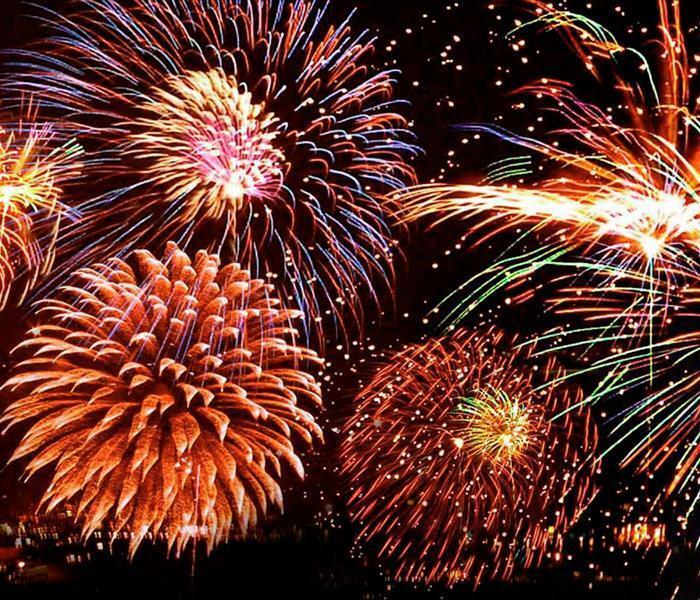 You know what that means, FIREWORKS! SERVPRO currently has a national partnership with the American Red Cross. 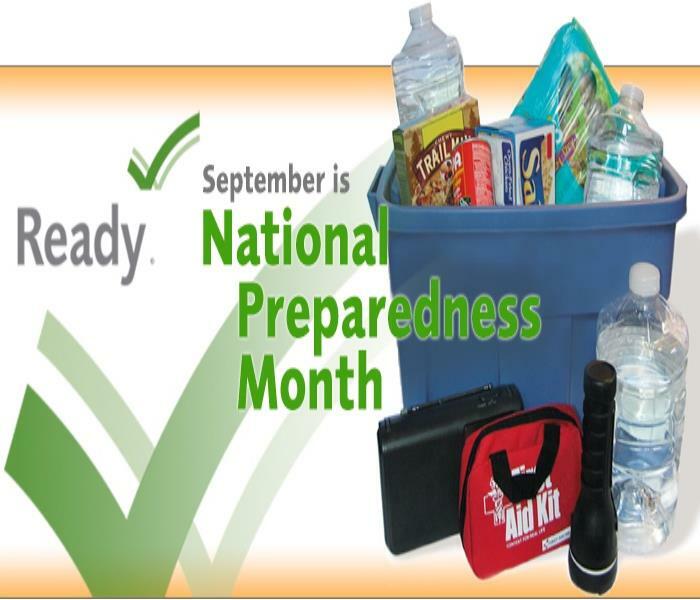 SERVPRO began a National partnership in March of 2013 with the American Red Cross as the largest corporate sponsor for the Ready Rating Program. SERVPRO has renewed our commitment to the Red Cross by supporting a Disaster Responder program. Apps and social media are tied for the top 4 most popular sources for emergency information during a disaster. The American Red Cross offers a free emergency app that you might want to check out. When a disaster strikes you will have confidence that you are getting updates as it happens. SERVPRO® Huntington Beach is always just a quick phone call away. Whether you are dealing with a water loss, damage from a fire or issues with mold in your home we can help. Emergencies do not work on a set schedule and can happen at any hour of the day or night. That’s why we are here 24/7, 365 to assist you should the need arise. If you find yourself in need of our services please reach out to us at 714-841-1695 and tell them the Marketing Team sent you. Thank you to the NFPA for these awesome tips to keep everyone safe! 3/6/2019 - Why Is SERVPRO of Huntington Beach The Chosen Restoration Company With Everyone?